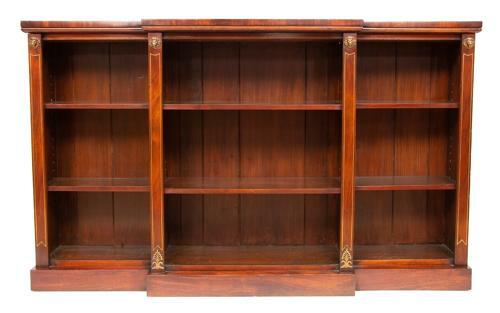 A Regency Breakfront Bookcase with Brass Inlay. Good quality timbers and a use full size. French polished by our restorer.